The Kardashians are filming the next season of their E! reality show right now ... and they're doing it in Greece! 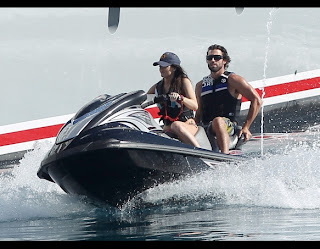 The entire clan has been spotted on a huge yacht in Mykonos all weekend long, with Brody Jenner and sisters Kendall, Kylie and Khloe all showing off their beach bods while splashing around in the water. 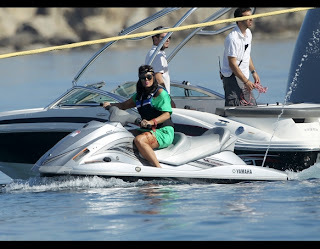 While Kim didn't get down to her bikini (yet! ), the expecting reality star did show off her growing pregnancy curves while walking around with sister Kourtney's adorable son Mason. Check out the gallery above to see more photos from the family's Grecian getaway! Who else is insanely jealous?